Kirby Grove, a mixed-use development in Houston’s Inner Loop, was developed by Midway. HOUSTON – Spaces, an Amsterdam-based creative workspace company, has leased 25,000 SF in Midway’s Kirby Grove development for its first co-working location in Houston. Expected to open in Spring 2018, Spaces will occupy the entire sixth floor of the LEED Gold office building within the mixed-use Kirby Grove project developed by Midway and institutional investors advised by J.P. Morgan Asset Management. Kirby Grove is located on the south side of Richmond Avenue, east of Kirby Drive in the Inner Loop of Houston. 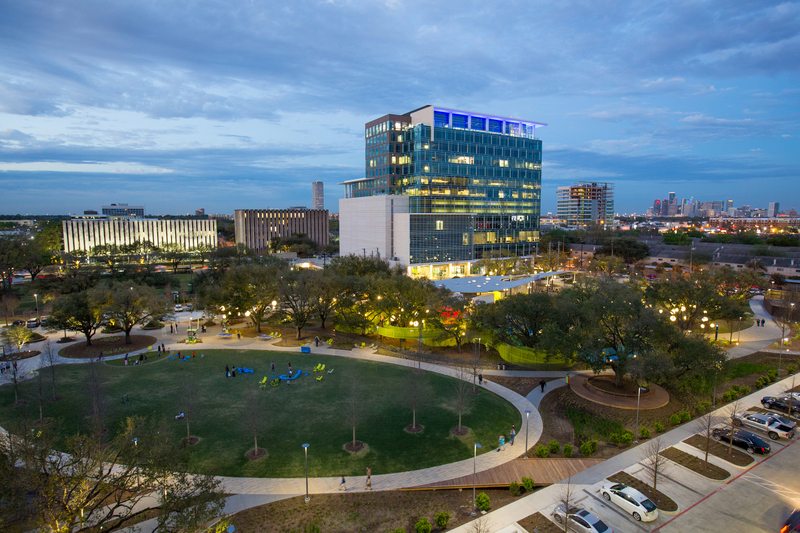 Kirby Grove has established a community-focused, mixed-use environment within Houston’s Upper Kirby District, integrating Midway’s Kirby Class-A office space and its Avenue Grove’s high-end lofts with restaurants and the redevelopment of the adjacent Levy Park. Within Kirby Grove, the Upper Kirby Redevelopment Authority has revived Levy Park, into an acclaimed urban public space that serves as a community focal point and a venue to host events and programming. Within its first year of operation, Levy Park has already earned recognition by the Urban Land Institute as an example of outstanding urban green space. The Midway portfolio of projects completed and/or underway consists of 45 million SF of properties in 23 states and Northern Mexico ranging from office and industrial facilities, corporate headquarters, mixed-use centers, industrial parks and master-planned communities. Midway’s Jones at Main project, a historic redevelopment on Main Street in downtown Houston, has WeWork, which recently leased 86,000 SF, as a key tenant.